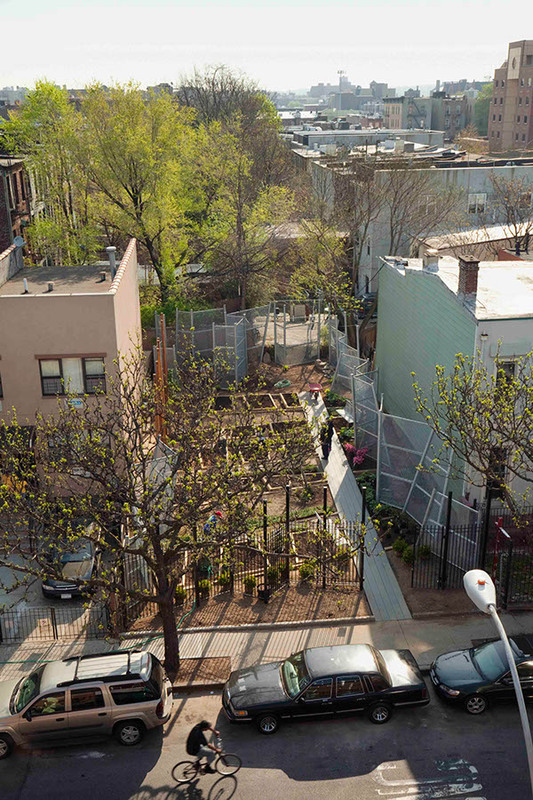 This small community garden is located in Bushwick, Brooklyn, and its design is a pro-bono project for the New York Restoration Project. 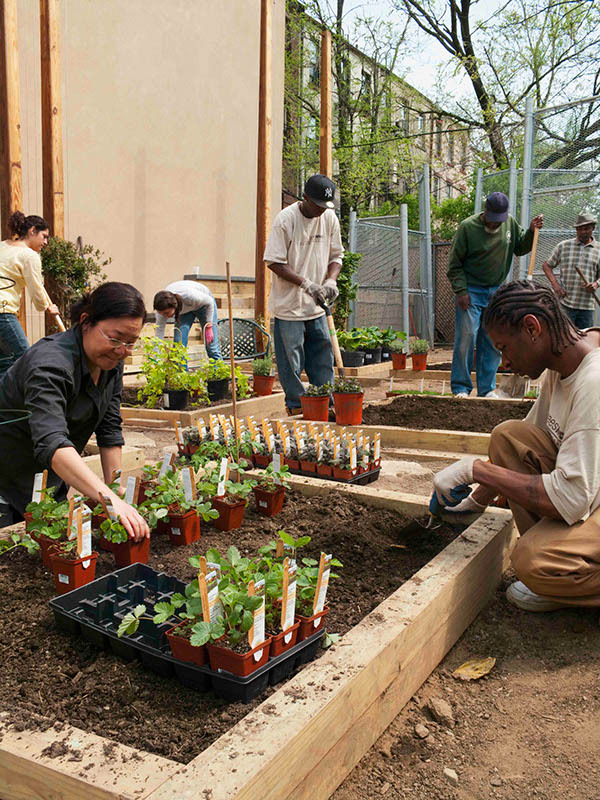 This organization has worked for years to preserve and manage community gardens and green spaces in underserved and economically-distressed neighborhoods with few parks. 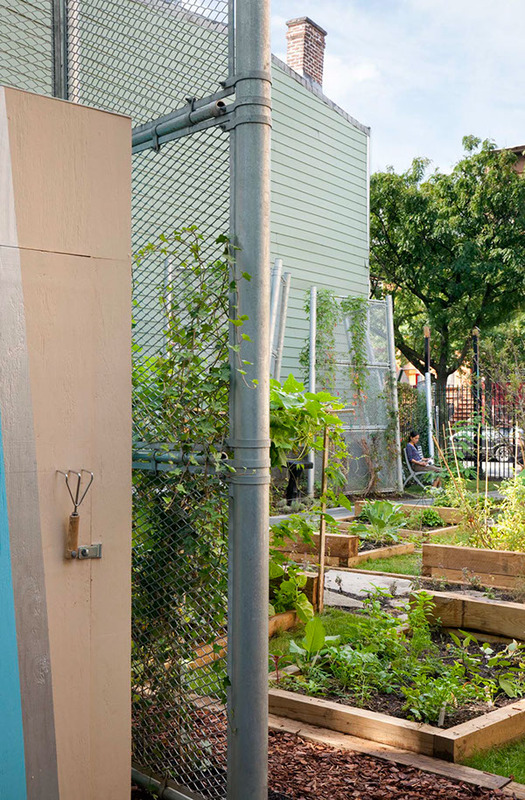 Like many community gardens sponsored by the Restoration Project, the space is small and requires careful attention to accessibility for people of all abilities and for flexibility. 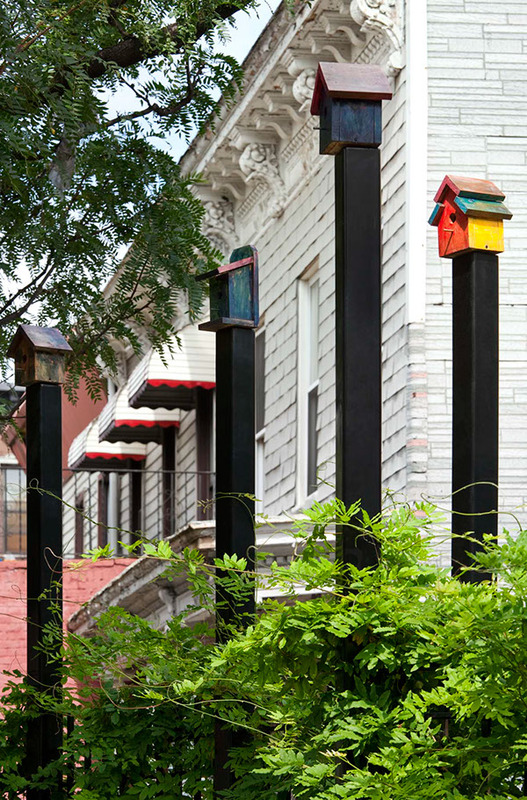 The 40-foot by 90-foot empty lot is bordered on two sides by existing houses. 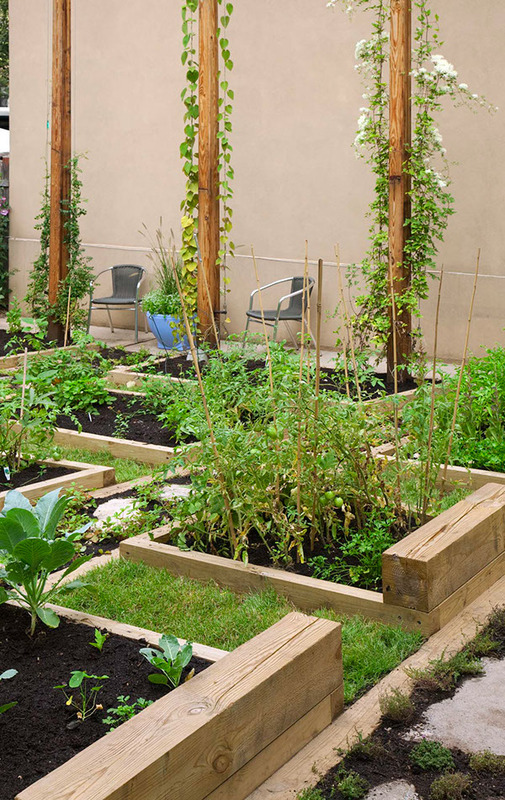 When completed, the garden will offer neighbors allotment garden plots, herb gardens, fruit trees, and nut and fruit producing shrubs. An arbor with grape vines, glu-laminated wood vine columns and some ornamental plantings are also part of the garden design. 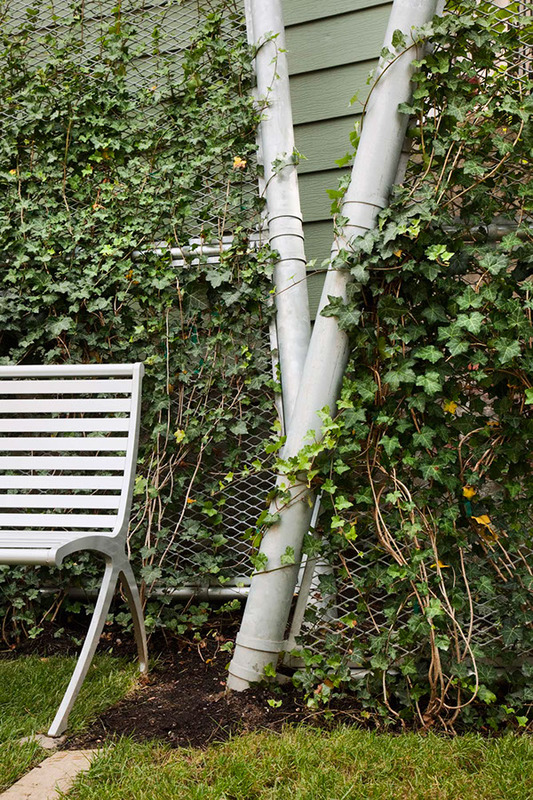 This garden is organized along its sides with a series of torqued vine panels fabricated with off-the-shelf fencing components and infill panels of expanded metal and planted with vines to create a green enclosure. The folding and torquing of the panels provide both screen and separation from the neighboring houses and perspectivally create a sense of greater garden depth and size. They also express my continuing interest in vertical gardening for tight city spaces. The ground plane is organized as a parterre of containments (planting beds) that align with the folded planes of the perimeter screens. Structural engineer Guy Nordensen and civil engineers Langan provided pro-bono consulting to the project.